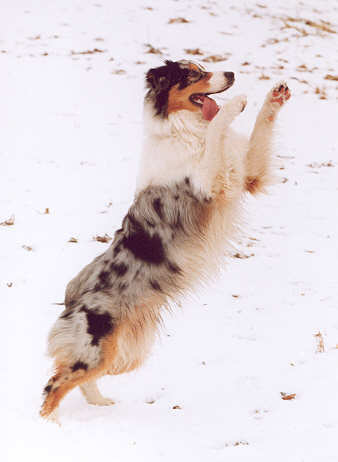 Australian Shepherd fanciers in other countries? with a true Aussie character! 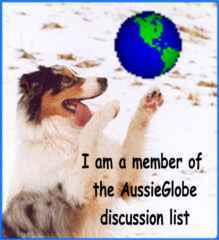 ...want to discuss Aussie-related topics with an open mind and respect for each others opinions? 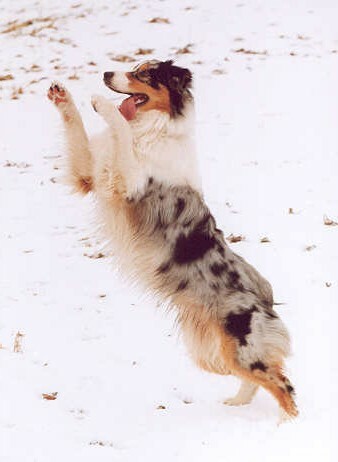 ...want to exchange information about the Australian Shepherd? ...want to know what is going on worldwide regarding Aussies? ...want to get in touch with Aussiefanciers all over the globe? ...want to let the world know more about the breed in your country? ...want to know more about doggy life in other countries? ...or do you just like to 'talk Aussie'? When you just want to lurk, no problem - you can lurk. When you want to say something, have your say at AussieGlobe! Subcribe to make this list work! Link your website to the AussieGlobe webring! 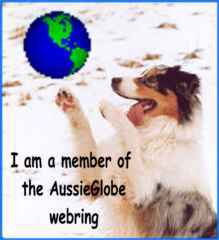 Use this banner to show that you are a member of the AussieGlobe webring.